UPDATE: EDD Bookings is now available for purchase at a 60% lifetime discount! Learn more. The integration with EDD FES is to be re-introduced soon. In December of 2015 we released an extension for Easy Digital Downloads that add a Bookings system to your WordPress site. 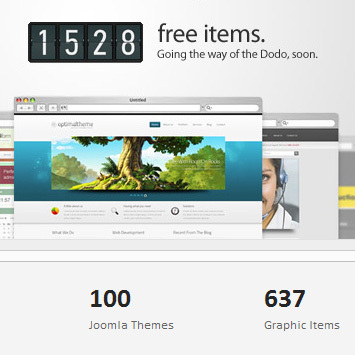 Since then, the plugin has undergone some major changes and improvements. The latest update now includes a major improvement – the ability to set up a multi-vendor marketplace selling bookable services. EDD Bookings provides a complete booking system for EDD that allows you to schedule appointments, meetings, consultations and any other calendar and time-based events. Meanwhile, FES provides a full-featured marketplace extension. 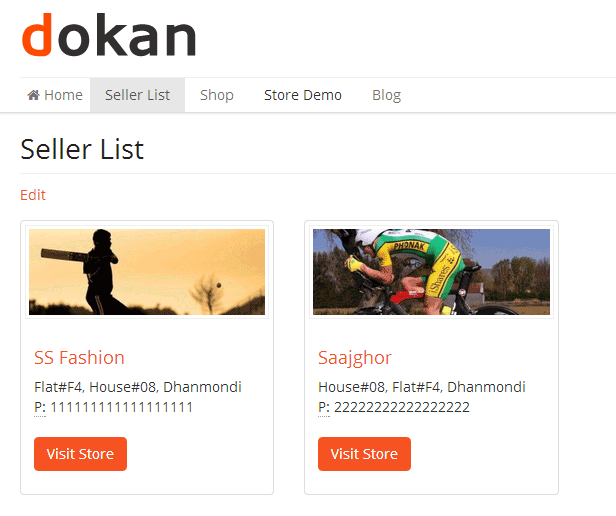 Combine the two and you get a powerful tool with which store owners can operate multi-vendor marketplaces with bookings. The Bookings extension typically only adds options to the download product edit screen that allows site operators to setup the booking rules. 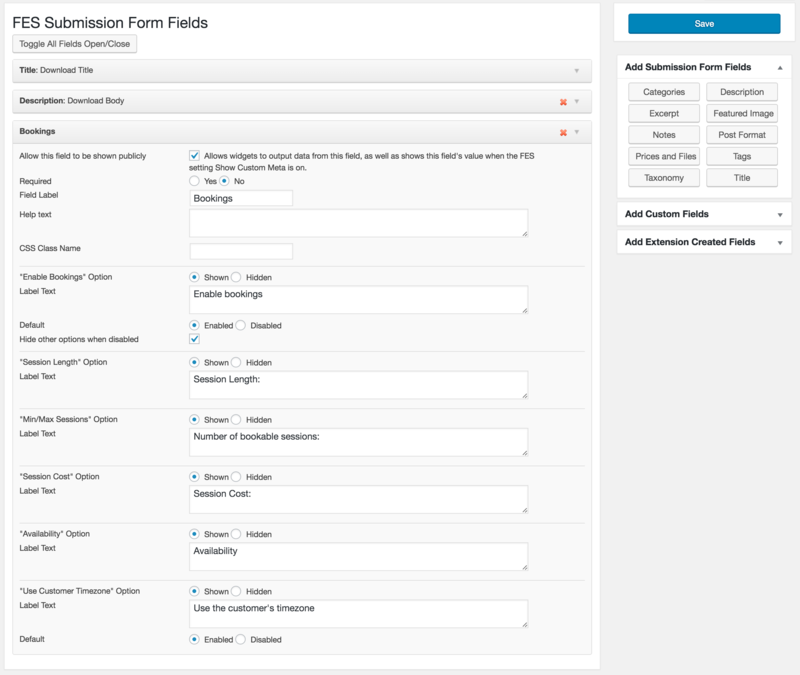 When using Frontend Submissions and the new Bookings plugin, however, a Bookings field will also be registered in the Submission Form edit screen that allows site admins to make the bookings configuration available to vendors via Vendor Dashboard provided by Frontend Submissions. With this combination site admins have complete control over which options are available to the vendors within their Vendor Dashboard. Once you choose which options to offer in the Submission Form, the Vendor Dashboard will allow you to add Bookings options to your new Products. The length of each bookable session. The minimum and maximum number of sessions that can be booked. The cost of each individual session. The exact dates and times during which the bookable service is available. 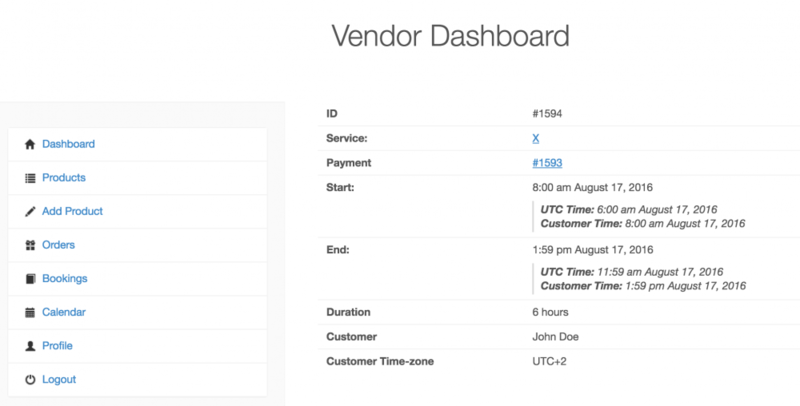 Whether to display times with the customer’s timezone or your server’s. Once the bookable service is ready it can be made available in the marketplace and customers can start booking their desired time slots. 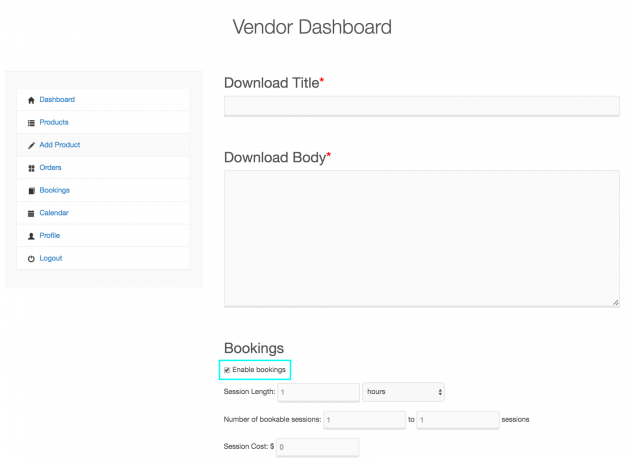 As each booking is made, you will have immediate access to all booking details through the Vendor Dashboard. 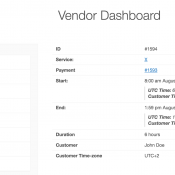 The Bookings list in the Vendor Dashboard. 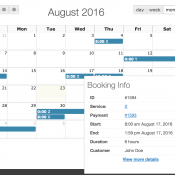 Besides the Booking list you can also view the bookings in a Calendar with monthly, weekly and daily views. For a more detailed look into a certain booking you can click on the booking in the calendar to open a popup with most of the details, or you can view its individual Booking Details page. 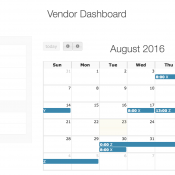 The Calendar view for bookings in the Vendor Dashboard. Click on one of the bookings for a preview of its details. View individual Booking Details for more information. Documentation for each individual extension is available through the EDD website. The EDD Bookings documentation includes all the details you need about the Frontend Submissions integration, so that’s a great place to get started if you need further instructions on how to combine the two plugins. Even though EDD Bookings was created by the RebelCode team and FES had its own team of developers, the support for both extensions is taken care of by the very capable Easy Digital Downloads support team. The Easy Digital Downloads plugin itself is free to download from the WordPress plugin repository here. 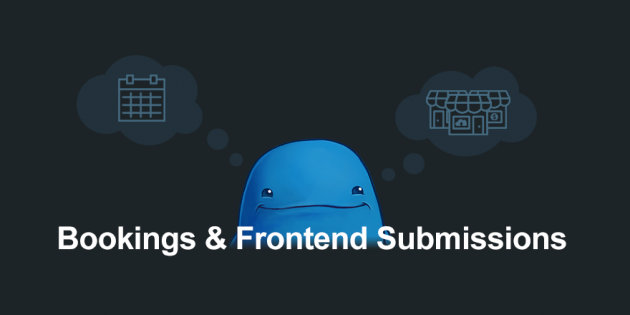 Frontend Submissions, starting at $83. This newly-introduced and powerful combination can be a great tool for those looking to set up and operate multi-vendor marketplaces for, or including, bookable services. These can include anything from consultations to doctor’s appointments and meetings to excursions. Another big plus for these extensions is that they are in constant development, so you’re sure to keep receiving both support and updates on a regular basis. A calendar preview for the Availability editor to reflect changes live, while you edit. Booking handling, that includes cancelling bookings, approving and confirming bookings, placing bookings manually from the backend, reporting of bookings and emailing to clients. 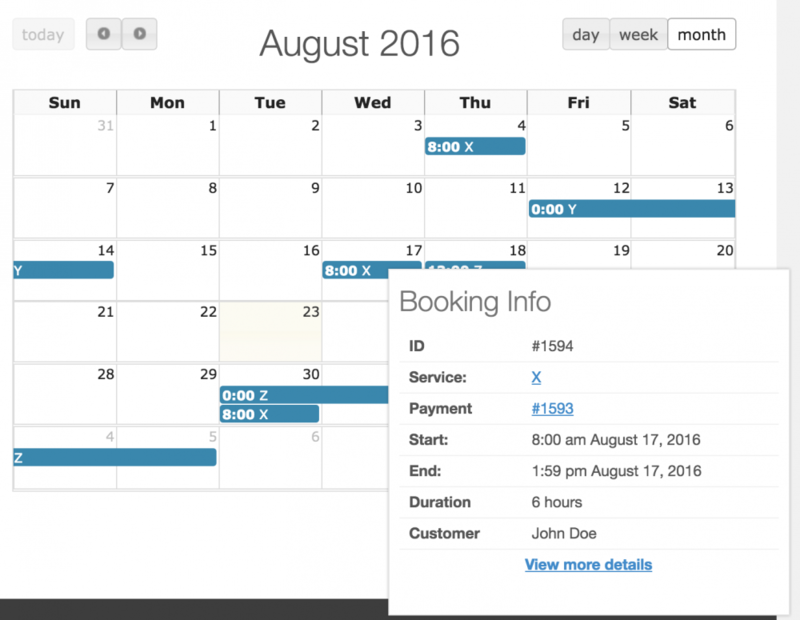 Parallel bookings to allow more than one booking to be purchased for a specific date and time. This feature will be most useful for class-type services that provide a service to a group of people, rather than just a single person. Some examples of this could be gym classes, computer courses, and much more. Have you tried this combination of plugins yet? Do you run a multi-vendor marketplace or plan to do so? Let us know in the comments below. Your feedback will definitely help in the further development of these extensions! 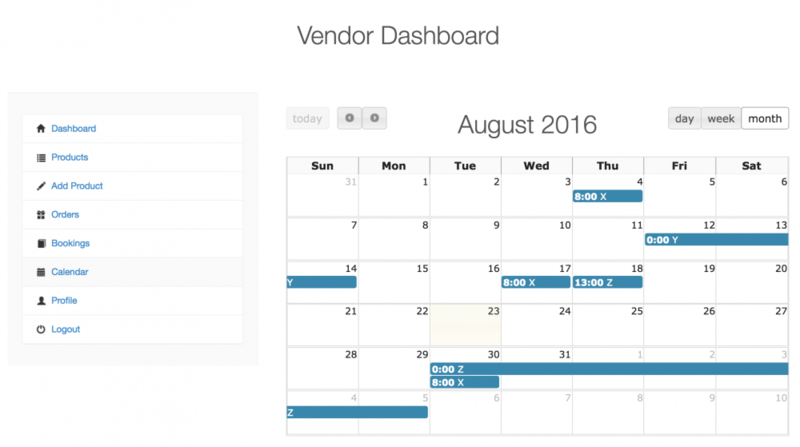 For the website users, will the vendors will be able to have an exclusive calendar each for people to book the bookable products? Or each product as one calendar? Ho, i’ll Need to male booking reservations for parking lots. Is your plug in able to do this? Look Also http://www.parkingaroma.com. Hi is this possible for a makeup artist platform? It will be once the new EDD Bookings includes the Frontend Submissions integration again. We don’t have a time-frame on that but it’s high on our list. Thanks for replying, Just wondering if the integration has been done already. I look forward on building this soon. It has not yet been introduced. We will be working on introducing a few more features for the time being, such as staff and locations. No final decision has been taken on the EDD FES integration, but we hope to introduce a marketplace solution in the coming months. Hi sunshine, not at the moment, no. How would you foresee using this exactly? Can you please send us some more details?